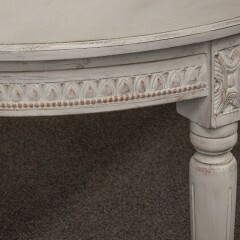 $9,000 to 12,500, or as quoted. 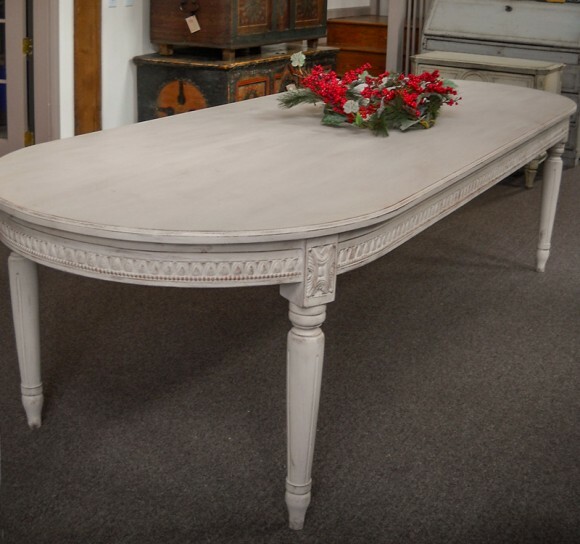 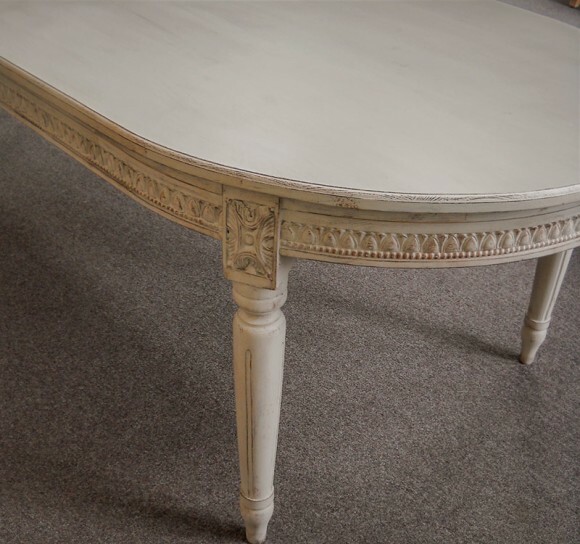 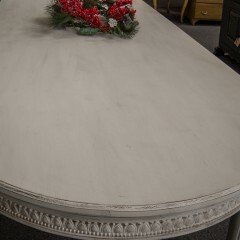 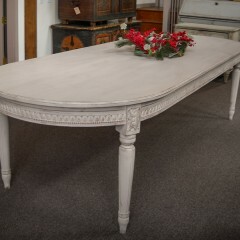 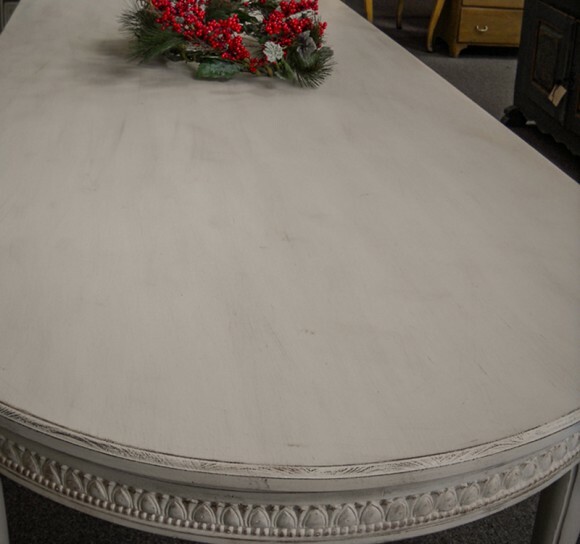 Long “racetrack” form dining table in the Gustavian style. 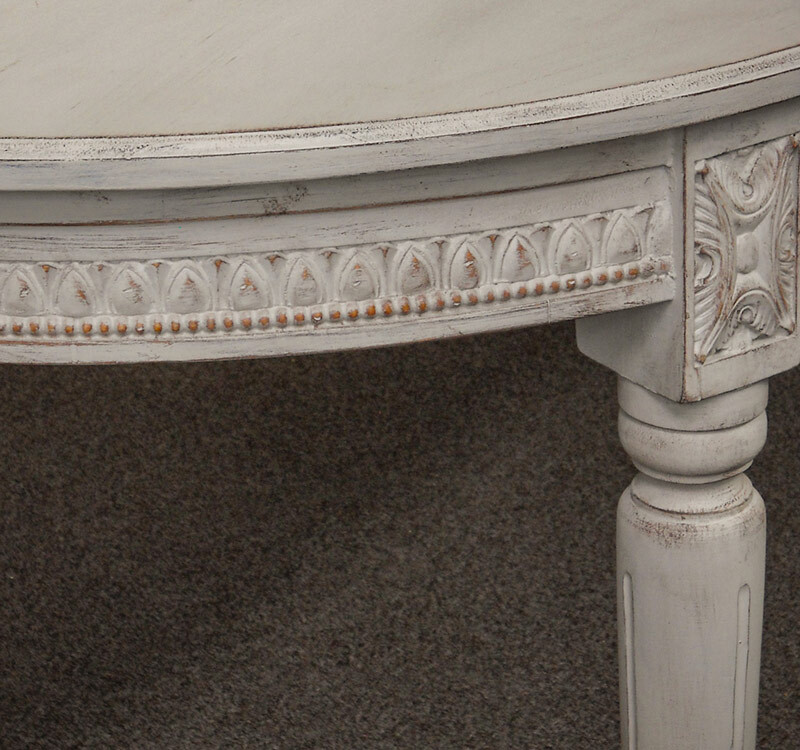 Lamb’s tongue molding on the apron and foliate carving at the top of the fluted legs. 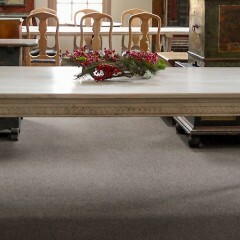 The top of this table is a single piece – no leaves – and can be detached from the base to make moving the table easier.